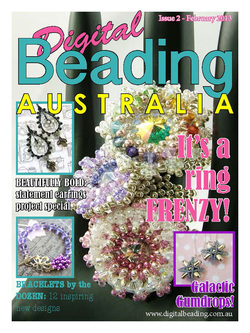 Welcome to Issue 14 of Digital Beading Magazine! 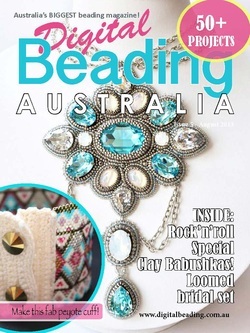 Australia's best designers and a host of international bead artists come together in this new issue of Digital Beading Magazine to bring you a magazine full of exclusive beautiful beaded designs. 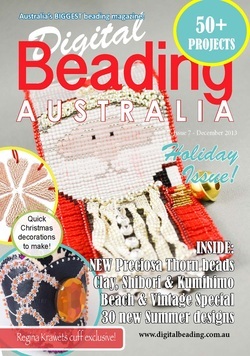 Welcome to Issue 13 of Digital Beading Magazine! It's almost holiday season and we have lots of fab new projects to keep you busy over the festive season and into the New Year! Don't miss out on this brand new issue of Digital Beading Magazine - more than 160 pages of beaded projects and inspiration! 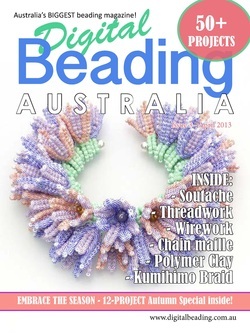 Welcome to Issue 10 of Digital Beading Magazine! Our 'cover girl' cuff, created by internationally-acclaimed Soutache artist Anneta Valious is a standout in this issue of Digital Beading Magazine! 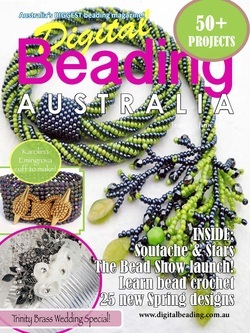 Inside this issue you'll find dozens of beautiful beaded jewellery designs to make - learn three new chainmaille weaves, create with Shibori silk ribbon and Soutache cord, plenty of threadwork projects, crochet rope - you're sure to find something to inspire you! Enjoy! Welcome to Issue 9 of Digital Beading Magazine! 174 pages of beading inspiration. UK designer Kerrie Slade's beautiful crystal and seed-beaded drop earrings feature on our cover. We talk to the incomparable Betsy Youngquist about her amazing beaded creations in our regular 'Fab Four' designer feature. And send us a photo of your latest beaded jewellery design and you could win a fabulous bead design book in our 'Show it Off' reader gallery pages. 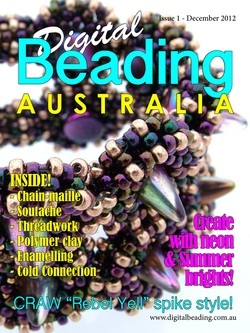 Welcome to Issue 8 of Digital Beading Magazine! This is our beautiful Autumn-inspired issue - projects in beautiful golden in topaz tones, and our "cover girl" beaded loom "Safari Cuff" project by Australian beaded jewellery artist, Caron Reid. Loaded with beautiful beaded projects - from quick Christmas tree decorations and Christmas day jewellery to "Beach" and "Vintage" themed project specials and a 30+ Summertime Jewellery Special! 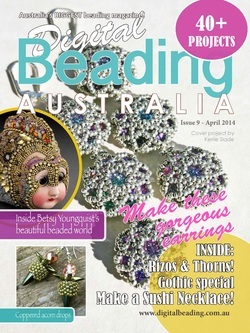 Welcome to Issue 6 of Digital Beading Magazine! 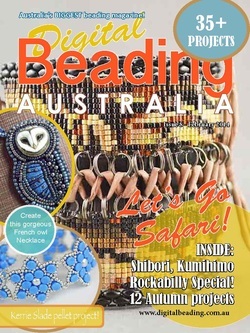 Inside you'll find more than 50 beaded jewellery projects to create, interviews with Battle of the Beadsmith winner Ann Braginsky and runner-up Kris Empting-Obenland and much much more! 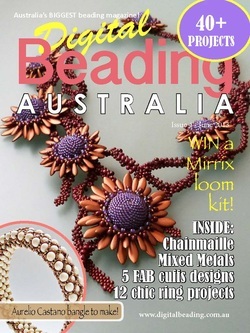 Welcome to Issue 5 of Digital Beading Magazine! Our biggest issue yet! 190 pages packed with beaded projects and news! Our "cover girl" project is from Battle of the Beadsmith 2012 winner Alla Maslennikova - you can make her beautiful "Northern Spring" pendant. We talk to Kinga Nichols, Lynn Davy, Nancy Dale and Karolina Ermingrova about what inspires their incredible beadwork. 50+ projects inside - from beginner to advanced - something for everyone! Check out the slideshow below for a sneak peek of what's inside!